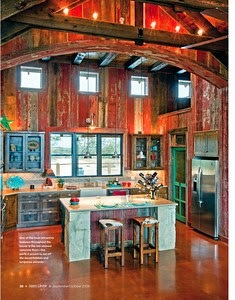 Rustic interior designs look best if you have a countryside or vintage look or theme for your home in mind. Here are some of the most amazing rustic interior look ideas out there, provided you accommodate them well within your home. What influences this look most is nature where you would want an eco-friendly environment within your home. You can use organic materials to add on to the rustic look of your home. The rustic look is nothing more than a comforting, warm, and soothing tone to your home, incorporating wood with varying shades. Even though the look will be extremely cozy, you should avoid overdoing it as you do not want your home to look like a log cabin with a yogi bear in it. Go with subtle colors that give an earthy, soft, and natural look at the same time. Tones of brown, slate, tan, green, amber, and gray look amazing. You could also have a little bit of cream shades and caramel tones. You can use interesting, unique and various paint effects to add textures to the walls of your home. This will help to give an aged feel and look. You can also incorporate some fabrics, rough timber, and soft lighting to add on to the effect. Your floor should either be made of a stone finish or a timber one. Add some beautiful, woven and imaginative rugs to your floor to make for a softer look. The rugs can also be brightly colored, thus adding a little color to the whole environment at the same time. You home should have wooden objects in it, arranged in a well mannered way. These can help transform the look of your home, and can add a great style just by being there. You can use pine for this purpose, the shade of which should vary between dark to mid tone. You can also try to incorporate metal instead of wood since metal also has the power to bring a rustic look to your home. Always remember that all the colors and materials that you do end up incorporating should work well together. In other words, nothing should look odd or out of place. 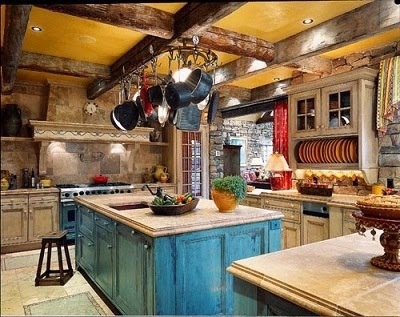 With a rustic look, you have to be extra careful so that everything is in perfect harmony. This easy to understand guide will making choosing the kitchen backsplash easy!